​Top Flight Stables is a hunter/jumper training and boarding facility offering individualized programs designed to maximize each horse and rider’s goals and potential. Most of our clients compete in a full, year-round schedule of rated and local shows, while others choose to focus their training efforts at the farm. We specialize in helping each horse and rider team to grow and learn together, through consistent quality instruction and training. We are focused on supporting your riding priorities and working with you to develop the most effective program. Top Flight Stables is located at Hetherbridge Farm in Chester Springs, PA. We cultivate a collaborative atmosphere where riders of all ages support each other. We are a drama-free barn that fosters quality horsemanship and a love of our animals. While the staff at Top Flight offers complete and meticulous, quality care of your horse, we place a priority on ensuring that all of our students know the basics of equestrian care and management. 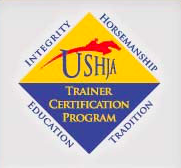 Trainer Ellen Derrick, a USHJA Certified Trainer, has extensive experience working with young horses, as well as horses that have encountered challenges in their training programs. She works with riders to overcome issues that may be interfering with their ability to successfully compete and advance to their potential. She has partnered with renowned equine psychologist Janet Edgette to help riders work through some of these challenges. Ellen has developed a reputation as a patient trainer who meets each rider at their level and finds dynamic ways to teach and coach them to help them reach their personal best. She is encouraging and supportive, and also loves competition. The Top Flight team takes great pride in its performance at horse shows. Ellen Derrick, owner of Top Flight Stables, is a highly respected trainer who brings nearly 20 years of work as a professional to her clients. 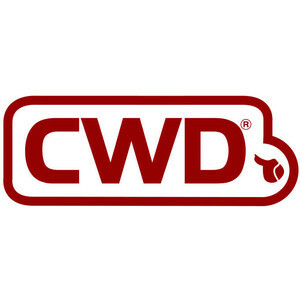 She studied, trained, and worked for and with some of the top hunter/jumper trainers in the eastern United States before opening her own facility in West Chester in 2006. Ellen began riding at the age of 12 in Connecticut, and rode and competed Hunters, Jumpers, and Three-Day Eventing as a Junior. Ellen served as team captain of her intercollegiate riding team at Delaware Valley University, where she received an Associate’s Degree in Equine Science and a Bachelor’s Degree in Large Animal Science with a focus in Equine Training. She studied abroad with the Equine Program at Hartpury College in Gloucester, England and completed British Horse Society’s Stages 1,2 and 3. Ellen also holds a certification from the United States Hunter Jumper Association Trainer Certification Program. Ellen also rode and interned for trainer Jim Toon in South Salem, New York, worked at Meadow View Farm in Southhampton, New York, and at Derbydown, Inc. in Kennett Square, Pennsylvania, for top hunter trainer Louise Serio. Ellen is assisted full-time by an experienced and knowledgable staff , who are dedicated to meeting the individual feeding and management needs of every horse. She is also assisted by Assistant Trainer/Stable Manager Blair Allan. The team at Top Flight Stables brings knowledge and experience to ensure that each horse receives top-notch care and training everyday.